I rarely print my images but when I do I send them out to mpix for important stuff and snapfish for casual photos. The results are never as they look on my screen. Yes, my monitors are not calibrated. I recently took a great shot of my nephew and I want to give a large print or canvas to my sister. Should I order a 4x6 and see how it looks before ordering and then adjust from there? Is there a better way to ensure that what I see on my monitor is what I get from the photo lab? I should probably add... I have the Spyder3, just not sure how to use it. Will that solve my problem? Thanks. It depends entirely on the type/brand of monitor you are using, some monitors are not going to respond as well [or very poorly] to others with calibration, they are just not that good to do a top job. Unfortunately, without seeing any of the prints compared to your monitor it's impossible to give a definitive answer to your question. And yes, there are certain 'top' monitors out there that the salesperson would sell you saying they are great for editing when in reality they are not. The best advice I would say to you is to install the software that come with the Spyder and try to look up tutorials on how to use. As to the question "will that solve my problem?" too hard to answer but at least you will get closer to what you are editing. I have attached a file for you to save and get printed from your lab, so you can then compare your print to what it looks like on the monitor to at least get a representative idea of what to expect. This is a well used 'calibration target' image that labs all over the world would use. I have put in 2-3 'test' pics on the 1 file, and it's sized to print to 12x18 inch, a nice big image to look at. Check skin tones, etc. to compare. If you look at the one with the girl and guitar and see the 'step' wedges [white to black squares] for starters you should be able to distinguish each and every grid on your monitor, and even when I look in Windows Photo Viewer let alone Photoshop, I can very easily see each 'step' from pure white to total black. Have a look in photoshop, if you cannot distinguish at least from the 2nd white to the 2nd black your density for starters would be off. EDIT: I should also ask, is it a professional lab you are getting the prints from? Do they calibrate their machines every day? If it's just a local lab for normal consumer people, I would look to get a print [that test image] done at a professional lab. I don't live in the US, [if that's where you are] so cannot recommend any labs. Do a search in your area and check with them first. Howie, you didn't describe in what way the prints don't look like on your screen. I will assume it relates to the colors not being correct (as opposed to something else like too low a resolution for the print). Are you using the sRGB color space for the JPGs that you send to MPix or wherever? This may or may not be helpful however may be something on the side lines causing an issue. @Trev, thanks for the info and the sample pic. I will get a print of the sample pic and compare with my monitor. I will also play with the Spyder and figure it out. FYI, my lab is mpix.com. I realized today they have a "pro" area of their site where they discuss color profiles and such. Lots of info there. @Nikonguy, the prints from the lab look a bit darker and the colors are a bit muted compared to what I see on my screen. When I export in Lightroom from RAW to jpeg, I choose sRGB. Is that the correct setting? @Zenon, thanks for the video. In this case it is not a resizing issue. That's one of the things regarding 'muted' colors from lab to what you see on screen. 1] It's an LCD backlit screen, not like 'paper white' which prints are on. 3] Colors are often boosted in an 'out of the shop' monitor to give those rich, vibrant look people are used to seeing on screens, TVs etc. and this affects the perceived disappointment when they get their prints back from a lab. 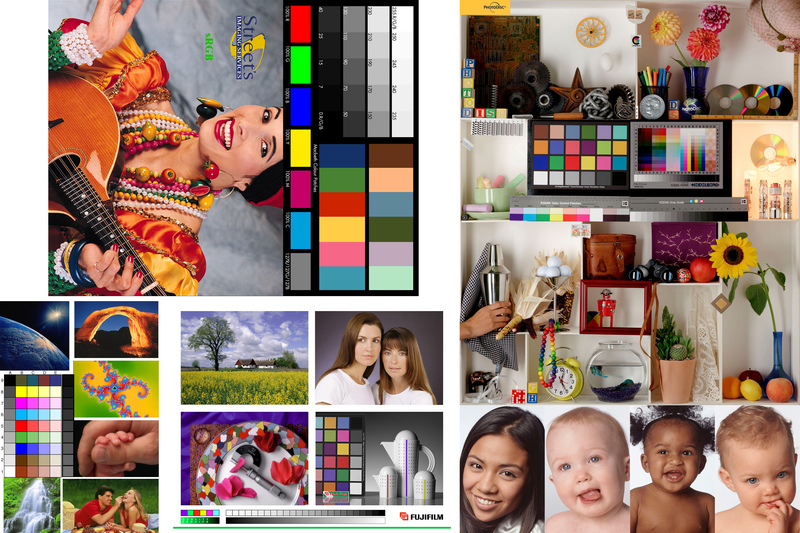 re sRGB, 99% of labs require that profile for printing, some may accept others but they will be very professional labs which may need to have a wider color gamut.